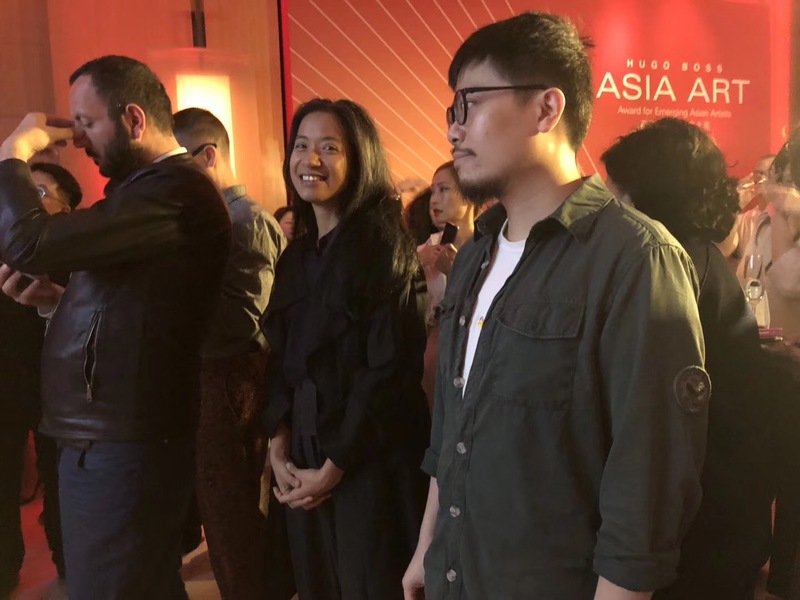 (Mar 27, Hong Kong) The Rockbund Art Museum Shanghai (RAM) and HUGO BOSS are honored to launch the 2019 edition of the HUGO BOSS ASIA ART Award for Emerging Asian Artists. Continuing from the successful collaboration in previous editions, the Award will maintain its focus on emerging artists from Greater China and Southeast Asia, exploring in depth innovative breakthroughs in artistic language, practice, and experience. As one of the most recognized contemporary art awards in Asia, the HUGO BOSS ASIA ART Award for Emerging Asian Artists champions the diversity of emerging art in Asia on an aesthetic, intellectual, and cultural level, and moreover supports and promotes innovative artistic practices and thoughts, thereby offering artists further visibility. “The HUGO BOSS ASIA ART Award is a wonderful element in our Arts Sponsorship program. We are very happy to offer this platform to young talents for the fourth time, especially in such an important cultural context as Asia,” says Dr. Hjördis Kettenbach, Head of Cultural Affairs, HUGO BOSS AG. The exhibition of the finalist artists for the HUGO BOSS ASIA ART 2019 will take place from October 18 to December 15, 2019 at Rockbund Art Museum, showing selected representative works as well as new commissioning artworks. The final winner of the Award will be announced in November 2019, who will receive the sum of 300 000 RMB, which will support the artist’s practice and development. Born in 1985, Hsu Che-Yu currently lives and works in Taipei, Taiwan. He primarily creates animations, videos and installations that explore the relationship between media and memories. The artist is concerned with issues that go beyond not only with how historical events can be traced through media, but also the construction and visualization of memories, be they private or collective. His recent exhibitions include: Shanghai Biennale: Proregress (Power Station of Art, Shanghai, 2018); London Design Biennale: Emotional States (Somerset House, London, 2018); Rencontres Internationales (Forum des Images/Haus der Kulturen der Welt, Paris/Berlin, 2018); International Film Festival Rotterdam (Rotterdam, 2018); BANGKOK BIENNIAL: Cinema Taipei (Cho Why, Bangkok, 2018) ; EXiS, Experimental Film And Video Festiva, Digital Break (Sonje Art Center, Seoul, 2017); Time Test: International Video Art Research Exhibition(CAFA Art Museum, Beijing, 2016).